What’s the best way to stay in touch with your retail customers? According to a recent study, email blows all other marketing methods out of the water. Respondents of all generations, from Generation Z to Baby Boomers, prefer email communications from retailers by a wide margin. How wide? Overall, 68 percent of consumers surveyed prefer to receive brand communications from retailers via email; just 6.9 percent prefer the next most popular method, in-store communications. (Rounding out the list, 5.6 percent prefer text messages and 4.5 percent prefer communications via Facebook.) 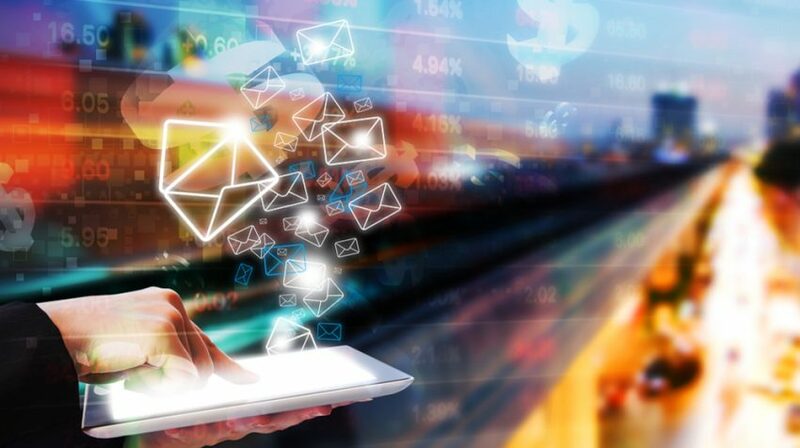 This is one instance where the generation gap is quite small: 73 percent of Baby Boomers prefer email communications from retailers, and 62 percent of Millennials do, too. Given the importance of email marketing to retailers, your approach to email needs to be on point. Take this seven-step email marketing checkup and see how you’re doing. Behavioral information, such as what pages they view on your website, what emails they open and what previous email offers they’ve acted on. The basic element of personalization, of course, is using the recipient’s name in the body of the email and/or in the subject line. Email marketing programs make it easy to personalize your emails this way; you can even add references in the body of the email to things like a recent purchase or visit. However, you should also personalize emails based on how you have segmented your customers (see above). For example, if you own a boutique that sells infant and children’s clothing, you might personalize emails differently based on whether the recipients are parents or grandparents. 3. Do your emails offer perceived value? One company whose emails I subscribe to sends multiple emails per day — each touting an offer such as “20 percent off today only!” or “$10 off your purchase today only!” It’s blatantly obvious that these “one-day only” prices are not really deals, and I’ve begun simply deleting the emails altogether. In order for your emails to be perceived as valuable — rather than pesky annoyances — make your offers meaningful. In addition to discounts or sales, also send emails with useful information. For example, the infant and clothing retailer I mentioned could create a list of “10 top kids’ fashion trends for 2017,” complete with photos of products you sell in your store. Don’t have time to create such a list on your own? Then link to an article elsewhere online — it’s fine as long as you credit it properly. 4. Are you using triggered emails? E-commerce companies use triggered emails frequently. For example, if you’ve ever abandoned an online shopping cart, you probably got a reminder email asking you if you still wanted to make the purchase. Brick-and-mortar retailers can use the same principle, creating triggered emails based on customer behavior. For instance, if a customer who used to visit your shop regularly hasn’t come in for several months, send a “We miss you!” email with a tempting offer. Collecting customers’ birthday dates and sending emails with a discount good for the birthday month is another smart tactic. Or take a cue from cosmetics retailer Sephora and offer a small free gift during the birthday month — no purchase needed. 5. Do your openers get attention? Focus your copywriting energies on creating good subject lines that clearly sell the benefit of the email and its value to the customer. Because the first line of an email’s body text often displays before it is opened, make it powerful, too. 6. Are your emails mobile optimized? More than half of all survey respondents primarily check email on their smartphones. The younger the respondent, the more likely they are to do this: 59 percent of Millennials and 67 percent of Generation Z primarily check email on their phones. Make sure that your emails display well on smartphones, with enough white space to be readable, and buttons or hyperlinks that are easy to click on. Equally important, any links that take customers to your website should go to a mobile-friendly webpage. 7. Do you make it a priority to build your email lists? Getting new customers to sign up is essential to maintaining a healthy email list. Always ask customers at checkout if they’d like to sign up to receive emails from your store. While you should never make this a requirement for the sale (or make customers feel like you’re being pushy), you can incentivize sign-up by sending them a discount offer as their first welcome email or explaining that by signing up, they can get digital receipts instead of or in addition to paper ones. Provide a sign-up sheet near checkout or, for more accuracy, use a point-of-sale system that enables customers to input their own email addresses. NEXT POST Next post: What is an H1B Visa and Will Proposed Changes Affect Your Business?